Oh what a beautiful morning. Not really. It's clear and cold. I had a rough night, barely sleeping three hours, if that. I don't think that I mentioned that the night before, when we were in the midst of a really blustery night, cold water and wind blew through a hole in the window beside the window a/c unit... a hole that Trouble Kitty had created while trying to tunnel out to get to a birds nest. I can't prove it... but from that point on I was certain that I saw a ferret, a raccoon, an eagle, a unicorn and maybe the Tooth Fairy come through that hole in the window. Can you stand another cat picture? I love the way Little Trouble Kitty sits beside me like a little person. When he's like this he would prefer to have control of both of my hands... this time he settled for just one. If there was ever a cat who felt loved and cherished, it's my Little Trouble. As well he should. He's gotten more affectionate with other people. He'll let Mawmaw hold him. He always reaches up his front paws for Cody to pick him up. Last night he jumped up in Marquee's lap to get a cuddle, which was new. He'd always go to Marquee and make himself available for petting but he hasn't ever really committed to being held. I don't know that I've ever had a cat that wanted so much human affection. I went to work yesterday for about 3 and a half hours. I'm just so grateful to work at a place that appreciates anything I can do, even if it isn't much... and to be told that I'm the one who knows what I'm able to do each day and I have to be the one to decide what I can do. There was no, "are you leaving already?". There was no guilt. There was - and always has been - complete support and encouragement and I am so grateful for how God has moved me into a place that can accommodate and appreciate what I have left to offer. It's really amazing to me to be in an environment where the needs and talents of each employee are met and utilized in a way that benefits the team AND the person... instead of building a box of twinkies - identical employees with identical responsibilities and schedules... and it's amazing to see how that impacts the morale of the office in a positive way. You know, I started working the week after I graduated high school (27 years ago) and this is the first time I've worked somewhere where there is no bitterness toward "the man" - whether it's a boss or an owner or whatever. There's no backbiting or sniping or cutting down the employer or complaining or commiserating and I really believe that is because everyone enjoys the same kind of flexibility that I've been offered. If you feel like your needs are being met and your concerns are being heard, you have nothing to complain about. If you know that you're appreciated there's no insecurity and if there's no insecurity, there's no competition or jealousy or bitterness toward anyone. You're free to work as a team because you don't have to worry about whether or not you get credit for your efforts. What benefits one, benefits all. Or, maybe it's just because I'm only there half the time and don't have time for those kind of office politics. Whatever the reason, it's refreshing and it's what keeps me going in a time where it would otherwise be easy to just give up. But mercy... for someone who has been sitting in the same little nest everyday... there sure is a lot going on in my little orbit. Ryan's buying a new car. Cody's making some major life decisions, sort of at a crossroads and I'm so glad to be close enough for him to keep me in the loop. 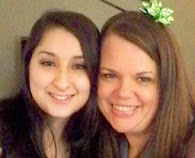 My sweet friend Whitney in Jacksonville is approaching her due date and ready to deliver her first baby at any moment. My Uncle Charles is having surgery for esophageal cancer next week - and we would appreciate your prayers as this is a very involved and risky procedure. Grandma's cardiologist has suggested that she start using a walker - which, she has never really acknowledged needing a cane - she won't call it a cane, she calls it her "walking stick" so I'm thinking she's not going to want to be hampered with a walker. Ever the lovely lady, my Steel Magnolia. (although I'd be happy with something to steady me about right now!) Mama is right at retirement, tomorrow is the last day. Mama and daddy are going to their homeowners association meeting for the mountain house on Saturday and will finally, after 7 months of owning the house, get to meet their neighbors. Marquee is in her next-to-the-last semester of college before she gets her dual degree in English and... Philosophy, I think. (she has the worst mother-in-law ever, I can't remember anything.) Lots of people I love are going through lots of major things. It's enough to keep a good prayer warrior on their knees, if only I could get back up from that position. Happy Thursday, y'all. Hope you're able to feel the sense of "rightness" in your world that I feel in mine. Love and hugs.